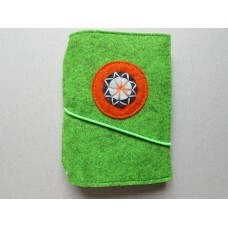 To fit an A6 size notebook this cover is made from green felt. It has two elastics inside, pockets front and back and an elastic closure. 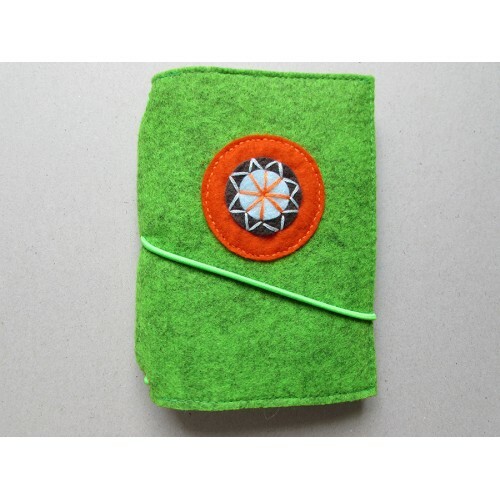 The design is also made from felt.